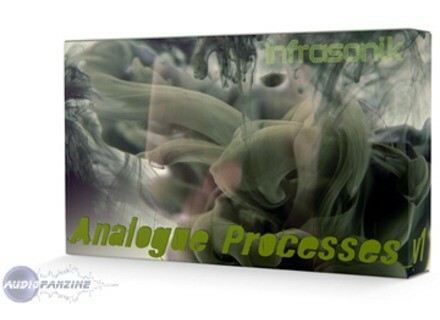 Analogue Processes v1, Techno / House / Trance Sample from Infrasonic. Designed for electronic music producers, composers, and laptop DJs and performers, Infrasonik's sample packs are constructed to maximise the features of Ableton Live and Kontakt. 39 Impulse kits with modular processing chains. 15 Channel strips with analogue style dynamics and EQ. 15 EQ chains modelled on vintage EQs. 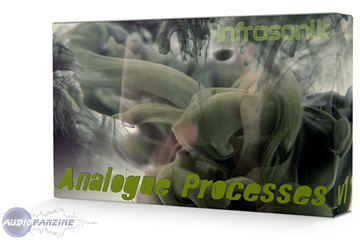 Modular processing chains allowing fast and easy swapping of "processing modules" between different kits and tracks. Effects are balanced using Live's Utility effect to avoid level fluctuations when doing effect manipulations in a live performance setting. Impulse kits are carefully gain staged to leave at least 4-6 DB of headroom between each device in the DSP chain for super clean processing and no digital distortion. A limiting module at the end of each Impulse kit's DSP chain prevents the chain's final output from clipping in a live performance or DJ setting. The kits are designed to have 10-12 DB of dynamic range. Project SAM Symphobia Project SAM's latest release is Symphobia, a collection they say has everything you've been missing in your orchestral palette.